The finest luxury watch accessories, jewellery boxes and timeless horological gifts are now available at Ahmed Seddiqi & Sons in Dubai Mall, following an exclusive partnership with British retailer, Rapport London. Bringing quintessential British style to the UAE, Rapport London offers an elegant selection of watch winders, watch boxes, jewellery boxes, pocket watches and leather trunks for men and women around the world who are connoisseurs of time. 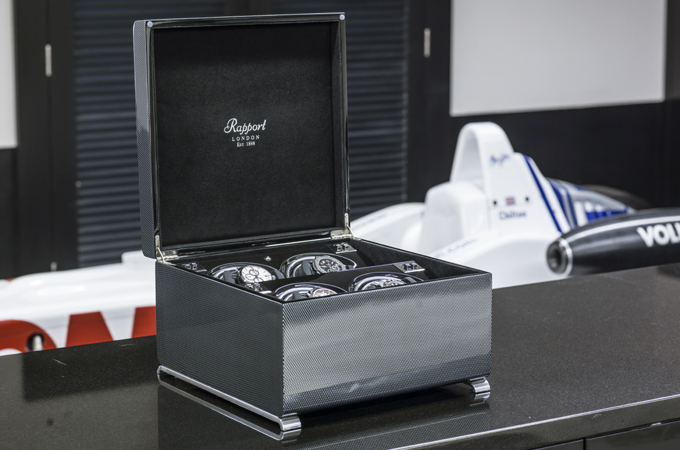 Combining four generations of talent and knowledge since 1898, Rapport’s unmistakable British craftsmanship marries together the skills of a cabinetmaker, clockmaker and an electronic engineer, resulting in an exceptional range of watch accessories and leather goods that have been carefully handcrafted with attention to detail.